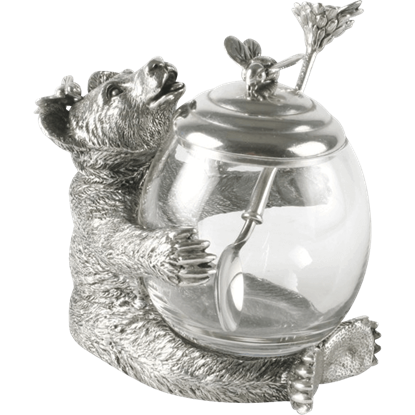 A curious bear is climbing up to have a taste of the delicious beverage being served in this glass drink pitcher. 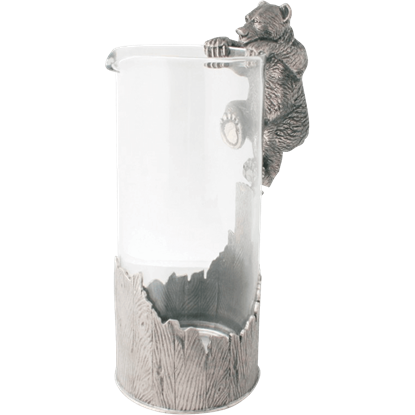 The Climbing Bear Glass Pitcher features a unique pewter wrap with a mountainous relief around the base. Crafted with extraordinary detail, these hand-finished pewter salt and pepper shakers offer a fun touch of nature to your table. 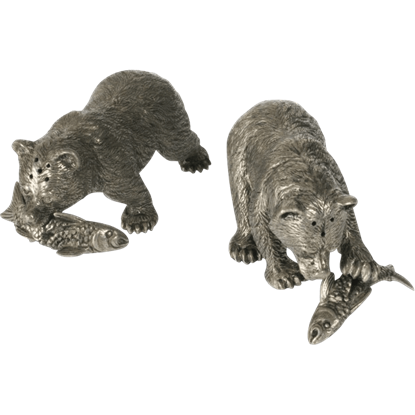 The Fishing Bear Salt and Pepper Set depicts a pair of realistic bears with their catch. 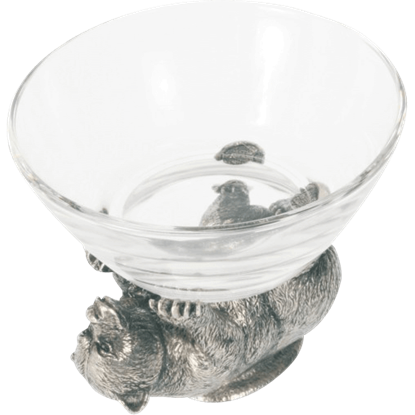 The crystal clear glass bowl shows off the nuts or other treats you are serving while highlighting the natural beauty of woodland creatures. 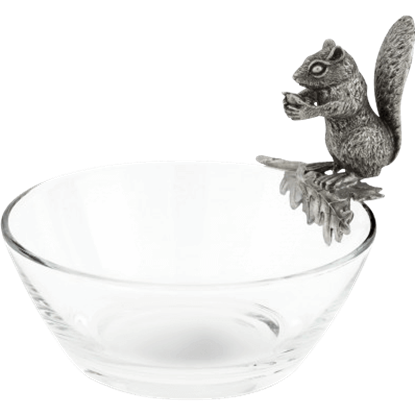 The Glass Squirrel Nut Bowl displays a squirrel perched on an oak twig on the rim. 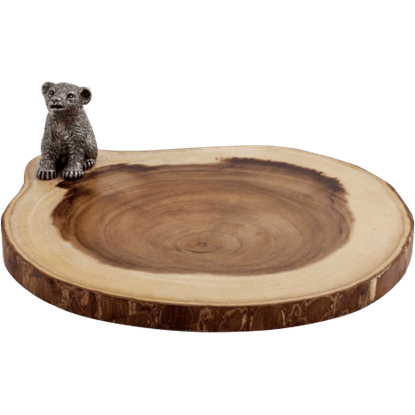 All your guests will go nuts over this charming serving bowl. 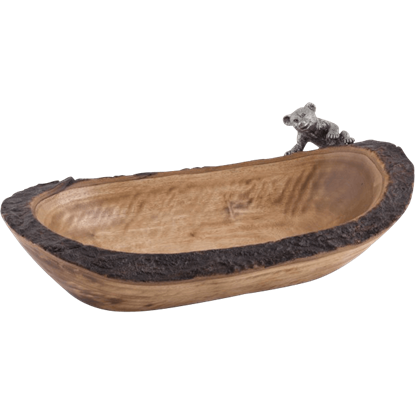 The Large Squirrel Head and Tail Nut Bowl displays the detailed head of a squirrel on one side of the mango wood bowl and its bushy tail on the other side. 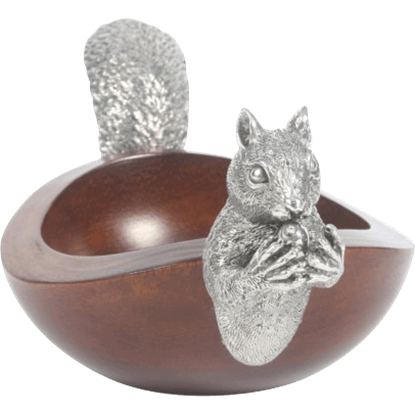 The Life Size Squirrel Nut Bowl is a great addition to any festive or nature-loving home. 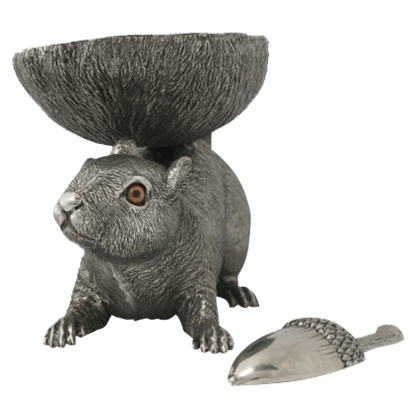 Crafted from high quality pewter, this snack bowl is modeled after a squirrel with a curious look that is sure to amuse any guest. This squirrel looks as though he is busy burying a nut in the soil under a tree. 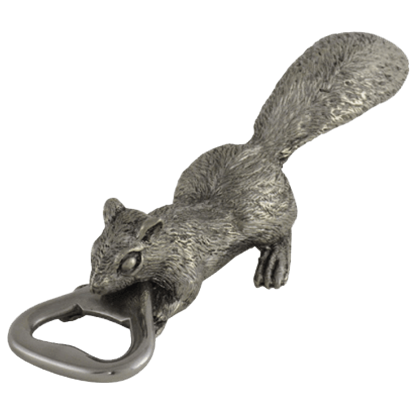 Between his paws, the Pewter Squirrel Bottle Opener features a tab for opening your favorite bottled brew, making this a charming addition to your bar. 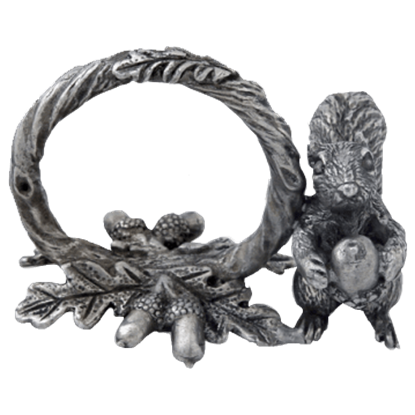 Delightfully inquisitive, the Pewter Squirrel Napkin Ring is a great addition to any festive or fun-loving table. 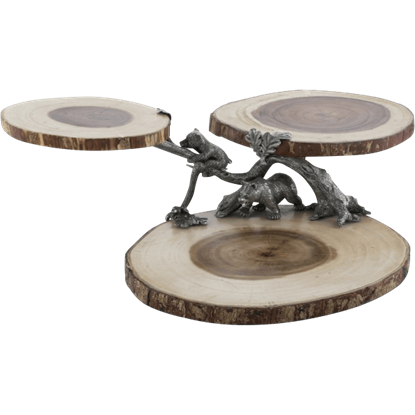 This decorative napkin ring adds fantastic charm to a table with its nature-inspired and detailed design.